Phew…. has everyone recovered from what happened on that marvellous evening in Wales? I’m sure there are a few people who haven’t even made it back from Cardiff yet! Well, yet again, we had one of those nights, where somehow, we got a win when we needed it most. After looking back on the goal for about the 673rd time, I can confirm that James McClean, if he wasn’t already, is now up there with the past greats of the Irish team, but what about James McClean, the man. McClean has become a household name due, in part, to his exploits on the field for the Republic as well as for his views and beliefs off it. We here at The Sharpe are going to dig a little deeper and see what made McClean the man he is today by going back to the beginning. We will look at his childhood in Derry, what his footballing career so far has been like, the furore that surrounds him when he refuses to wear a poppy, the charity work he does and why this World Cup qualifying campaign has seen him rise up and become the new hero for the Republic of Ireland football team. James McClean was born in Derry in April 1989 and grew up in Creggan, a housing estate on the outskirts of Derry City near the border with Donegal. Creggan housing estate was built to house the Catholic majority in Derry and McClean grew up in a nationalist family who were lifelong Celtic fans. 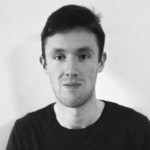 The early years of McClean’s life coincided with the height of ‘The Troubles’ in Northern Ireland, and he grew up in a city where violence occurred daily. This exposure to ‘The Troubles’ possibly shaped the young McClean into the man he would become. Of course, McClean’s real passion growing up was football and he would play on the streets of Creggan with his friends until the street lights came on. It was when McClean began playing for local Creggan side, Trojans FC, that his promise as a footballer began to really shine through. After impressing for Trojans FC, McClean signed for semi-professional side, Institute, as a teenager. Institute had previously been the side of Darron Gibson, who would later move to Manchester United and Institute was a big step up in the young McClean’s career. Unfortunately for James, his time at Institute did not go well and he only made one appearance for the first team in the 07/08 season. Institute believed he lacked the potential to make them a profit and McClean’s contract wasn’t renewed. Luckily for McClean, his local professional side, Derry City, who were going through financial trouble at this time, were looking at trialling free agents from various local sides. 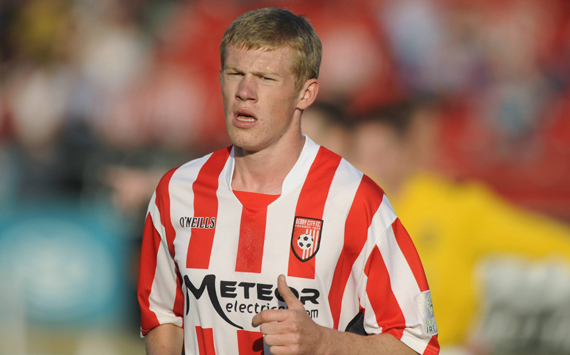 McClean had a successful trail and was signed by Derry City in 2008. What happened next was extraordinary as McClean developed into Derry City’s starting winger and even when the side were going through financial ruin, he stuck with the club, with his performances beginning to make clubs in England sit up and take notice. McClean signed for Sunderland in August 2011; however, he didn’t make his debut until December 2011 when Martin O’Neill became Sunderland manager. McClean enjoyed a successful first season at Sunderland and his form saw him get called up to the Republic of Ireland squad for Euro 2012. While McClean’s role in that tournament was limited, it was during this time that Irish football fans’ love affair with McClean began. McClean moved to Wigan Athletic in August 2013 and would play the next two seasons in the Championship where he would impress fans on a weekly basis with his direct running. 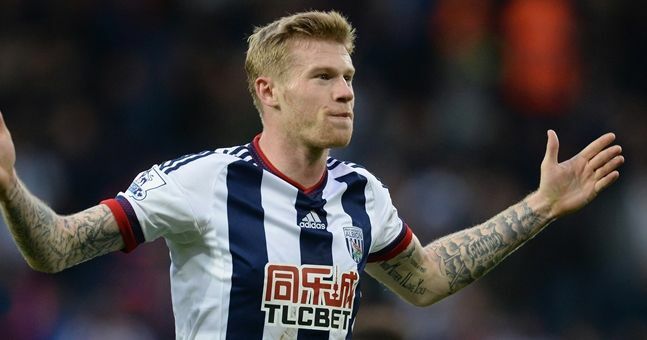 McClean’s displays in the Championship earned him a move back to the Premier League in 2015, when West Brom secured his services and McClean has become a regular starter for the West Midlands side ever since. While McClean’s club career has always been frustratingly average compared to his form for the Republic of Ireland. McClean has become notorious for his bone crunching tackles and never say die attitude for the Republic and, of course, his timing when he pops up for crucial goals, but we’ll get to that. McClean’s time as a professional footballer has been overshadowed, on many occasions, by his refusal to wear a poppy on his jersey on Remembrance Weekend in the UK. The first instance of McClean refusing to wear a jersey adorned with the poppy on it occurred in 2012, during his time at Sunderland. Time for a wee history lesson: McClean’s refusal to wear a poppy stems from the role of the British Army during ‘The Troubles’ particularly during Bloody Sunday in Derry, where six people from the Creggan estate were among those murdered. McClean has received sectarian abuse and death threats for his stance and unfortunately for many people, particularly in Britain, it will be the thing he will be best remembered for when his playing career is over. McClean, for his part, has always remained articulate when addressing the situation in the press; although, it’s his referencing of events that occurred before he was even born that seems to rub people up the wrong way. While McClean continues not to wear a poppy during the yearly Remembrance commemorations, he made another political stand in 2015 when he bowed his head during the playing of God Save the Queen during a pre-season friendly in America for new side West Brom. The reaction to this incident was swift with many people calling on McClean to quit playing and living in England if he hated Britain that much. 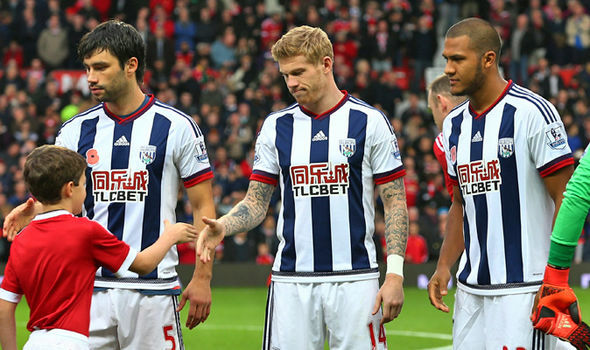 McClean was given a warning by manager Tony Pulis and told that’s not the way they do things at West Brom. Of course, this situation that surrounds McClean rears its head every year in November as people routinely criticise him for his refusal to wear a poppy. On the other hand there are plenty of people who respect McClean for standing up for his beliefs in such a public way. Regardless of what side you fall on in this argument, McClean’s refusal to wear a poppy or respect the British National Anthem will always be the thing that’s mentioned whenever the Derryman’s name is brought up. While McClean has been a controversial figure in Britain, in Ireland and particularly in Derry, McClean has become a hero who still regularly visits the Creggan estate. McClean has also used his status as a footballer to help the less fortunate. McClean has donated to many causes on so many occasions that they all couldn’t fit in here and I’m sure he has donated more than we know. McClean, in particular, has donated to causes involving young children from the Derry area and has paid for many life saving operations. Sadly for James, he has also suffered with the tragic loss of two of his former Derry City teammates in the past 18 months. Former Derry City striker Mark Farren, who McClean enjoyed a profilic partnership with during their time together at the club, passed away from cancer in February 2016 at the age of 33. McClean helped launch the Mark Farren Memorial Cup later that summer in honour of his friend and former teammate. In March of this year, another tragedy befell the town of Derry when club captain Ryan McBride died at home after going for a lie down. This tragedy affected McClean deeply as he and McBride began their Derry City careers at the same time. McBride’s death occurred in the run up to the Republic’s World Cup qualifier against Wales and as a tribute McClean wore the Number 5 jersey out of respect for McBride. McClean’s charity work and the tragic losses of close friends has shown people that although they may very well disagree with some of the things that McClean stands for, they have to respect his dedication to helping and paying tribute to people who are in worse situations than himself. 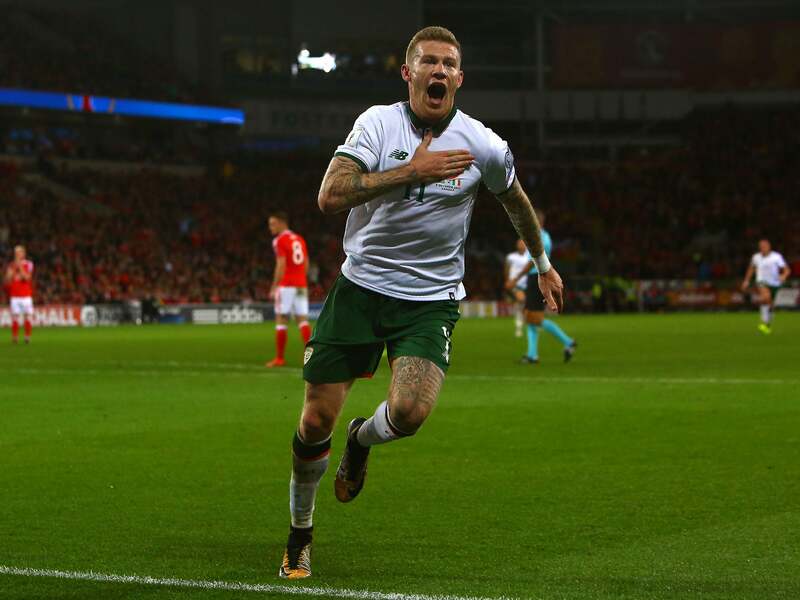 McClean’s role in securing Ireland a play-off spot for the 2018 World Cup has been nothing short of outstanding. After making his debut in the run up to Euro 2012, McClean struggled to become a regular in the starting 11 under Giovanni Trapattoni. Early on in his Ireland career McClean was seen by many as an impact sub, however, since Martin O’Neill took charge of the Irish side he has become a regular starter. It seems to be that when McClean is playing well, Ireland as a team rise to his level of performance. Take , for example, the matches against Georgia and Serbia in September. Although McClean was his usual self, running his heart out and putting himself about the place, his end product in both games was poor and this was the same for his teammates in both games. Now, take the game in Vienna last November when McClean scored the only goal of the game and Ireland gave a dominant display away from home. Of course, last week in Cardiff goes without saying as he popped up with the vital goal, although he probably should have been sent off for two silly tackles late on in the game, but we’ll gladly take the rough with the smooth. As mentioned previously McClean played shortly after the death of his friend Ryan McBride and put in a man of the match performance in an emotional and eventful night at the Aviva against Wales, last March. McClean’s 4 goals have proved vital in the qualifying campaign as they have all come away from home and have put the Irish team on course for victory. Can James McClean do it once again for his country in a few short weeks and guide the Irish team to Russia next summer? Well one thing’s for certain, his passion and nonstop running will startle any defence he comes up against.